I’m writing this today with a sense of sadness. It’s not because I want to write it or even enjoy writing it, yet I feel compelled to, driven by a sense of what some might say duty or loyalty or even just plain love. The keyboard strokes are heavy, echoing the gravity that I feel inside my own heart. 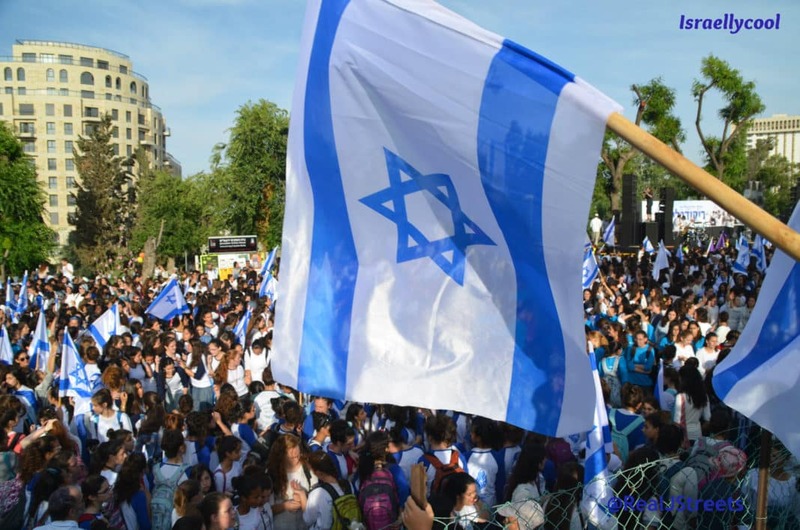 Those anti-Israel critics, many of who pray for the destruction of our Jewish homeland, are revelling in it, infused with joy, because there is nothing they like to see more than Jews against Israel. And if they’re Israeli Jews… even better! These enemies like to say that Israel does not represent the Jewish the world and therefore to be against it is not antisemitic, yet the truth is that there is no place on earth that represents us more. Now, Natalie Portman might not make much difference to our daily lives, yet, she is one of us. More popular. Better known. But still… one of us. She is a Jew, a member of the People of Israel. And we are not a numerous people. We are few in this world, so few that cities like Shanghai or Beijing or Istanbul have more people than the entire population of world Jewry. Yet Natalie Portman did something that a hundred UN resolutions weren’t able to do. Maybe not in the spheres of security, or economy or integrity, but emotionally. And although we shouldn’t care, we do. Because somehow through the chaos that seems to encompass our world, we still think of ourselves as one people. There were many who looked up to her with a sense of pride, as we saw one of our own shine brightly, in the same way we take pride in Jews who win Noble prizes, make massive contributions to science or health or sports like when Gal Fridman won a gold medal in the Athens Olympics. Seeing the Israeli flag rise up proudly and hearing Hatikvah being played brought pride to Jews all around the world. And although we shouldn’t really expect more from ourselves than any others, we do, which is why when we see one of our own on the world stage, we take pride, yet when they abuse that position, it hurts even more. Antisemitic and anti-Israeli groups like Jewish Voice for Peace, IfNotNow and others know this very well, which is why they consistently and cynically drone on about their so-called ‘Jewish values” in an effort to destroy the country, even though they couldn’t care less about those values. Yet what happened with Natalie Portman is actually less about Natalie and more about the way that some Jews are being educated in a way that turned its back on Jewish values and replaced it with some kind of false liberalism that says it’s wrong to take pride in your people. There are even some Jewish movements in America that claim Israel has left them, but it is they who have left Israel, consumed by this false liberalism that sacrifices Jewish values on the altar of political correctness. Because to love Israel is a Jewish value, maybe our oldest one. To love your fellow Jew (even while arguing with them constantly), is a Jewish value, ensuring we look out for one another in good times and in bad times. To take pride in who you are and to develop a strong identity, is the one thing that has kept Jews together since Abraham first made that covenant with God. And to defend your people against those who wish us harm is probably the noblest Jewish value of all. Jews haven’t really changed much since Abraham. He was someone who was unique in the world, believing in something no others did. He was hated by many, reviled by his neighbours, yet his sense of belief and faith was so strong that he was even prepared to sacrifice his own child. And from that time to this time, Jews have often stood alone, only being able to depend upon ourselves. For Natalie to condition support based on who the leader of the country is, is petty and small-minded, and quite dishonest too, as her rep failed to mention that in the initial statement anyway (Aussie Dave adds: and reportedly in her rep’s correspondence with the Genesis Prize Foundation). But in any case, we are not defined by one leader, but by our history, and our beliefs and our values, and if you love your country, you love it unconditionally despite who might currently be in charge. Perhaps it is that idealistic streak that runs through me in this cynical world. Perhaps it is the understanding of our long history and where we come from, and perhaps it is the challenges that lie ahead. But we are facing right now a reawakening of antisemitic feelings that should make every Jew, no matter where they live, be concerned. I used to write about an approaching darkness that lay just over the horizon – a darkness that we could almost sense, taste and feel. But that is no longer the case for that darkness has arrived. We’ve all seen it and we all feel it. Whether it’s on the Gaza border, where our enemies wave the Nazi flags and launch firebomb laden kites; whether it’s Europe where some countries enact laws making it illegal to talk about their dark past; whether it’s in American university campuses who openly and violently campaign against Israel; whether it’s in online forums where people joke about Jews and the Holocaust; or whether it’s in the Labor party in the UK, whose own leader is a member of antisemitic groups. And it makes no difference if we’re in Israel, or Los Angeles, or London, or South Africa – we are all a target of this same festering hatred. Jews are affected by each other’s actions, so when Natalie breaks ranks, and chooses to use her influence against our only Jewish homeland, she – whether she knows it or not – gives comfort to our enemies and emboldens them further. She plays into their hands like an unwitting puppet. But the damage was already done. He was shunned by many in his community who had warned him that he would be used as a pawn for the enemy, yet his arrogance outweighed his judgement. Judge Goldstone had turned against his own people and his own homeland in the most publicly damaging way – and I believe it’s a regret that will haunt him for the rest of his life.